Past President of BCMA, Past Chairmen of Board of Trustees BCMA. Chief of Medical Broward Health Imperial Point. Medical Director – DaVita East Ft. Lauderdale-Davita Boca Raton-Davita Delray Beach. Associate Prof. of Medicine: Nova Southeastern, Florida International University and Charles E. Schmidt School of Medicine FAU. 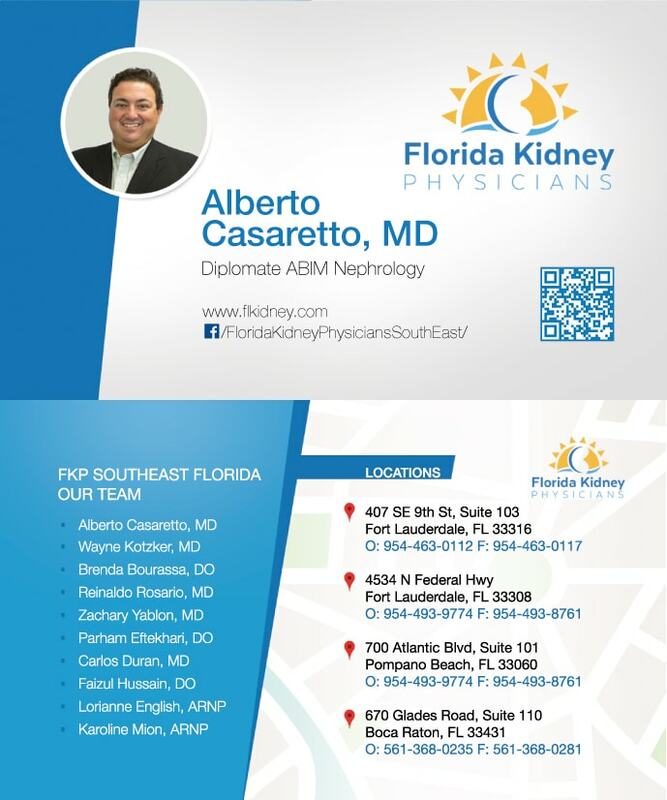 Dr. Casaretto clinical practice covers the wide spectrum of general nephrology with special interests in diabetic kidney disease, transplantation, hemodialysis and peritoneal dialysis. 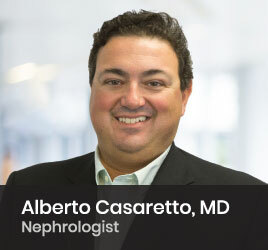 Dr. Casaretto has authored numerous articles on dialysis including most recently “Urgent Start Perotineal Dialysis: Report from a US Private Nephrology Practice” published in Advances in Peritoneal Dialysis (2012). Dr. Casaretto also presented this data at the Annual Conference on Peritoneal Dialysis in San Antonio, Texas in Febrauary 2012. He is passionate about teaching and mentoring our future physicians as an Assistant Professor of Medicine at Nova Southeastern University School of Medicine since 2003. Internal Medicine Residents at Broward Health Medical Center spend a mandatory month long training with Florida Kidney Physicians Southeast in their second year of training. When not helping patients, Dr. Casaretto can be found enjoying the great outdoors. He loves fishing, boating and biking. 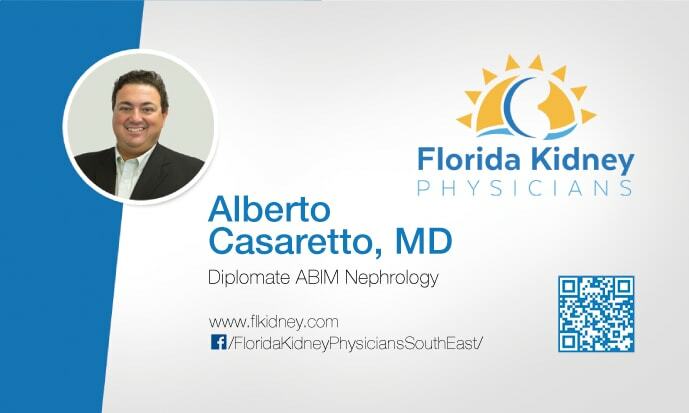 Speaking of biking, Dr. Casaretto once participated several Tour DaVita challenges which are typically a three-day, 250 mile bike ride for kidney awareness. Now that’s dedication!